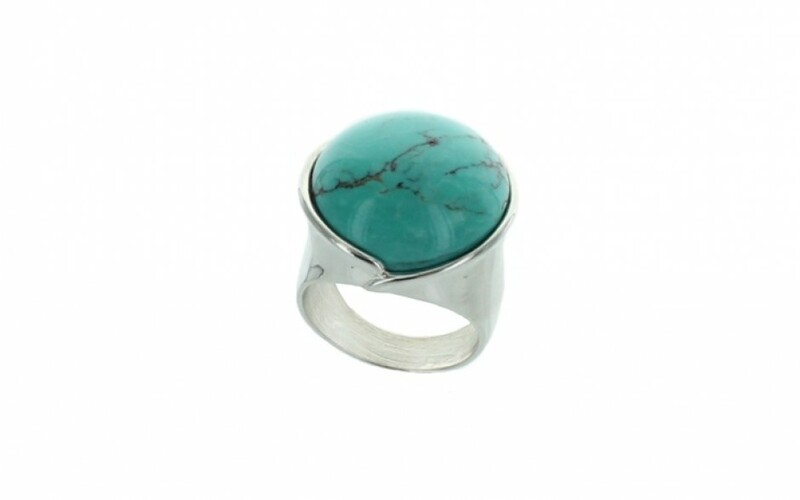 A large round cabochon of Red Skin turquoise is set into a simple shank of sterling silver. 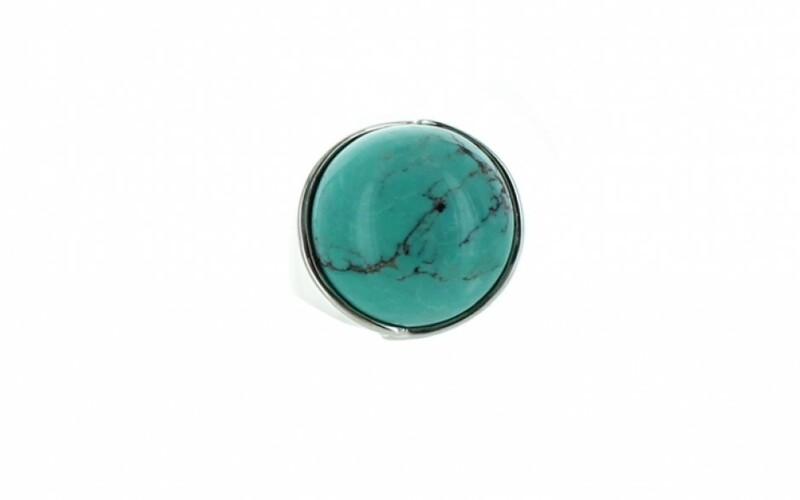 The turquoise is blue-green in color with a moderate amount of dark brown to black matrix. 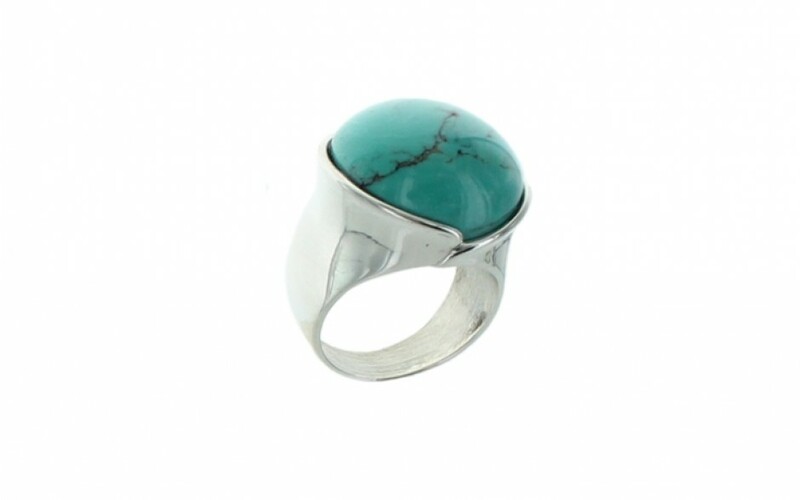 The setting has a small lip around the stone which blends into the shank. 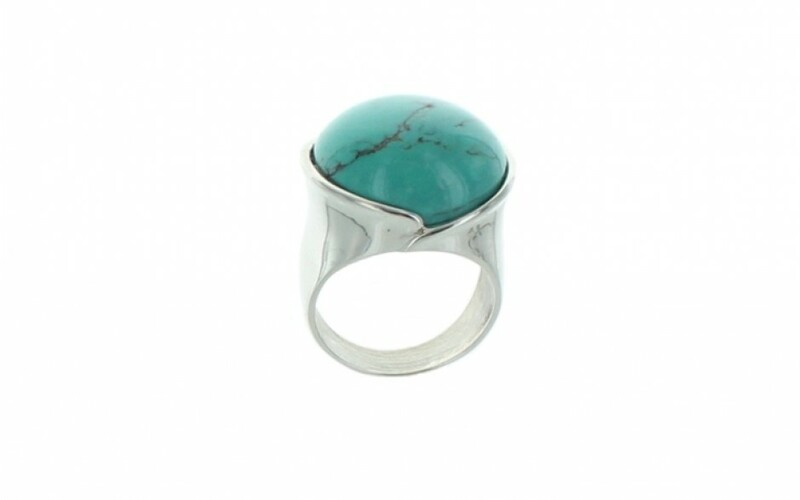 The band measures 1/4" wide and the stone is 19mm. 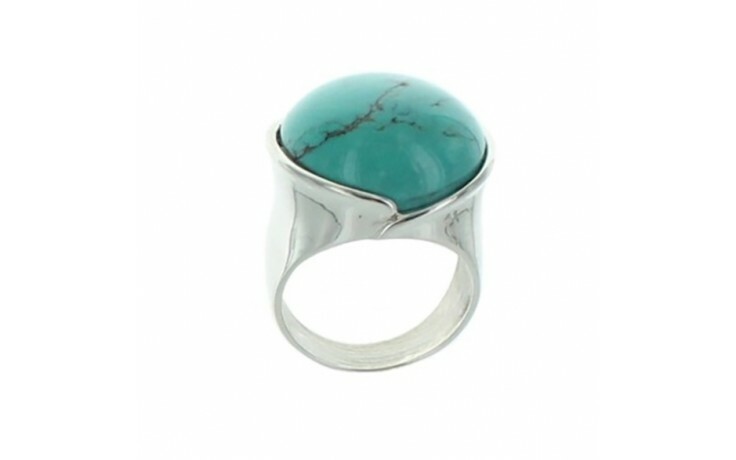 The turquoise was mined in China.